If you need to audit your website and check to make sure it’s performing at the top of its game, this will serve as your guide. Follow the steps and create a personalized site audit that will help your website rank better in Google and other SERPS. These guidelines are not in any particular order and they are all of importance when optimizing your website. When you update a page on your site, Google will update our index (including our cached version) when we next crawl it. Until then, our cache may still contain the original content, and that content may appear in search results. You can request removal of the cached version (this will also remove the page snippet). For example, say you have a page that lists your office address. When you move, you’ll want to make sure that the out-of-date cached version listing your old address is no longer visible in Google. On the left-hand menu, click Google Index and then click Remove URLs. Type the URL of the page you want removed, and then click Continue. The URL is case-sensitive—use exactly the same characters and capitalization that the site uses. How to find the right URL. Select Remove cached version of this page. Make sure the homepage is the first result, if not… there are issues. Using Google, perform a regular search for your brand/company name or your unique and specific keywords. If the right pages aren’t showing up there may be issues. Any sub-domains? Do they have duplicate content? Are there other sites owned by the company? If so they should NOT have duplicate content otherwise the value of each page is significantly reduced and Google will penalize the site accordingly. Improve the canonicalization of a site (if needed) – Great post explaining how to tell Google which parameters to avoid. Correct use of 301’s. Specific version of the website is specified in Google Webmaster Tools. Rel canonical link tag properly used. Use Google to search for duplicate content. How? Take a content snippet, “put it in quotes” and do a Google search. Is it found on another URL on your site? Or has it been taken and added to another site? If the second is true, file a content removal request with Google. The permanent redirects should be proper and complete (301 and not 302). 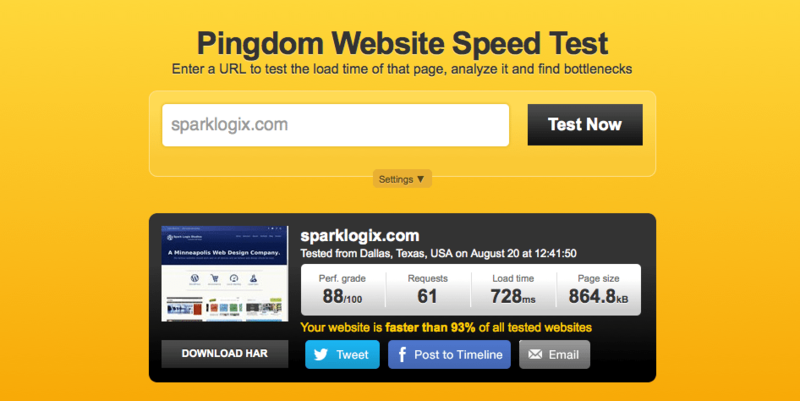 Test site speed using a third party like pingdom and check suggestions and adjust the site accordingly. Use of Alt Text – Are useful keywords used? Do the keywords used reflect the message of the content? Check errors in Google Webmaster Tools (then fix). Check XML Sitemaps: In place, proper XML protocols? How many links are on each page? Linking structure for navigation: Homepage > Category > Sub Category and Pages as Appropriate (URLs should reflect categories). Use good linking strategies NOT grouping. Title and Title Tag should be specifically keyword rich with a focus on usability for all visitors. Homepage content may be brief but it MUST be useful. Make sure your text represents your purpose and stands out against the competition. On a personal note, I prefer sites that show clearly what the business believes and if it aligns with what I believe I’m more likely to stick around. Unique landing pages should not be similar in nature to any other page on the site. Clear message, decent amount of content. The overall site should be useful in nature and easy to navigate. Images (preferably not stock) and Alt Text is accurate and in place. Blog – Useful information and up to date. A blog is a must – it helps with traffic and building your belief structure and helps visitors trust you. And check out Google’s detailed tips for creating a Google-friendly site. A student in the art of trial and error.